While autonomous driving may be just one subcategory of the automobile industry, it's actually quite broad when you dive into it. There are all sorts of different technologies to make it work and even different ways to get the same result. Even the companies involved are broad-based, ranging from big-tech like Alibaba Holding Group (BABA - Get Report) to Intel Corporation (INTC - Get Report) , Alphabet Inc. (GOOGL - Get Report) (GOOG - Get Report) and Nvidia Corporation (NVDA - Get Report) -- with Nvidia and Alphabet being holdings in Jim Cramer's Action Alerts PLUS Charitable Trust Portfolio. There's startups big and small, ride-sharing companies like Uber and Lyft, as well as seemingly every automaker getting involved. With that in mind, how many cars can we expect in 2025 to have autonomous driving capabilities? According to ABI, a marketing firm, roughly 8 million vehicles will be shipped that year with self-driving capabilities of level 3 or higher. For those unaware, autonomous driving levels range from 0 through 5, more of which is explained right here. In any regard, 8 million level 3-and-higher autonomous driving cars doesn't sound like that many. In 2017, 94.5 million vehicles were sold globally. Using that figure, just 8.5% of sales would be for these autonomous cars. But also consider how impressive level 3 driving is. A big shift happens from level 2 to level 3 autonomous driving, that being that the vehicle is capable of monitoring its surroundings rather than requiring the driver to do so. Many consider Tesla Inc. (TSLA - Get Report) , with its Autopilot feature, to be one of the best self-driving features on the road today. That, however, is only considered level 2 driving and only one company has a production car coming with level 3 right now, which is the Audi A8. That doesn't mean the driver shouldn't pay attention, only that the car is capable of maneuvering most of the scenarios it encounters. Level 4 driving puts us close to fully autonomous driving. Given that we have essentially 0 cars on the road today that are level 3, 8 million in just 6.5 years sounds pretty impressive. I'm wondering if it will even take that long. It's a good over/under to shoot against, though. When I talked to Nvidia's senior director of automotive earlier this year, Danny Shapiro told me that we're getting close to fully autonomous capabilities. For years the biggest issue was computing power. Nvidia's solved that. So now it's on to training these self-driving systems and Nvidia's new product can expedite that process exponentially. Tesla is shipping its cars with all the necessary self-driving hardware already included. Over-the-air updates can then add new pieces of software to the car, so that it can safely activate and use these autonomous driving functions in the future. 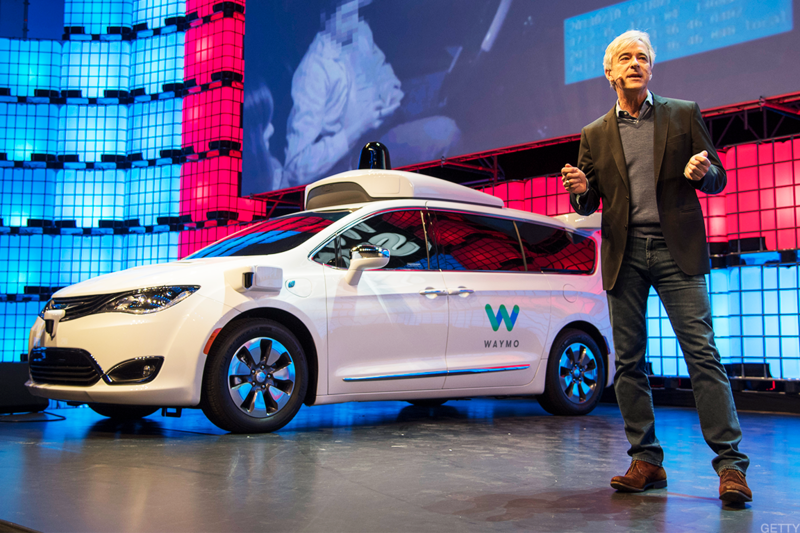 Ford Motor Co. (F - Get Report) is looking to deploy self-driving taxis in "scale" in 2021, while General Motors Co. (GM - Get Report) is looking to launch its level 5 robo-taxis in 2019. In that light, consider this: If Ford and GM are capable of level 5 autonomous taxis by 2021, would it really take four more years for the auto market as a whole to reach 8 million units annually of level 3, 4 and 5 combined? There are a lot of inputs to consider here. First, there's component supply, be it from LiDAR, radar, chips, GPUs and a whole lot of other factors. A shortfall here could mean limited output of autonomous cars. There's also the economy to consider. Self-driving cars won't be cheap and if the economy is in a recession, auto sales will suffer. More specifically, auto sales of higher cost cars will too. And don't forget about regulations. While the U.S. has been pretty open to autonomous cars so far, it's not a guarantee it will stay that way, or that other countries will remain open to autonomous driving. Still, I'm of the personal belief that we're closer to autonomous driving than many consumers realize and because of that, automakers have the potential to surpass 8 million annual units before 2025. There's too much money to be made and to be saved with the use of these cars, and too many lives that can be saved to keep them off the roads. Plus, the technology is moving a lot faster than many currently realize. Given how far away we are from 2025, it's ultimately impossible to say what the sales figure will be. 8 million seems pretty reasonable, but the optimist in me thinks this may be a conservative mark.